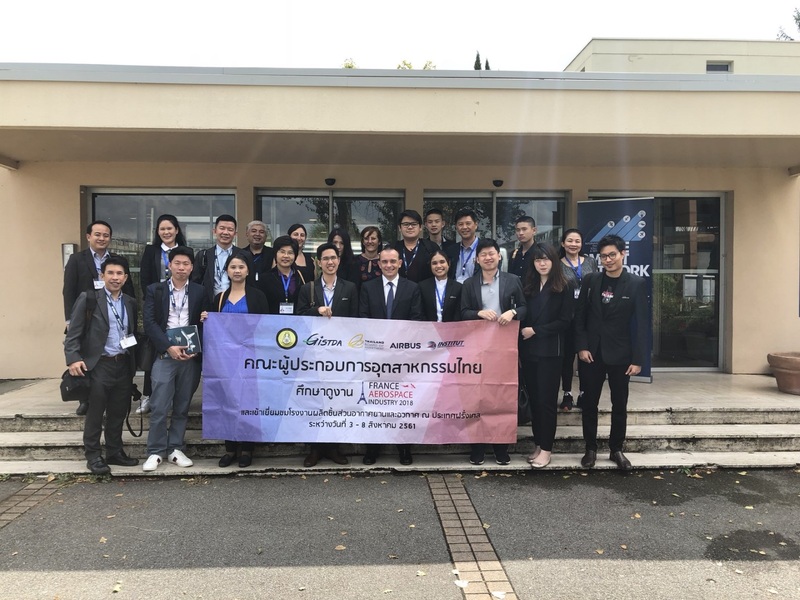 A delegation, led by Natthawat Hongkarnjanakul, member of the IAS Alumni Network, laureate of the 2008 FASIA award and engineer at GISTDA, the Thai space agency, came to Paris and Toulouse during the week of the 3rd of September. The group, composed of 19 professionals from the aerospace industry, was particularly interested in cooperation opportunities with France. As such, its members were received at GIFAS in the presence of several representatives of Safran, CNES, DGA (the French Defence Procurement Agency), Bolloré Logistics and GMI Aéro. Following a dinner organized by the Thailand Board Of Investment (BOI) which was attended by H.E. 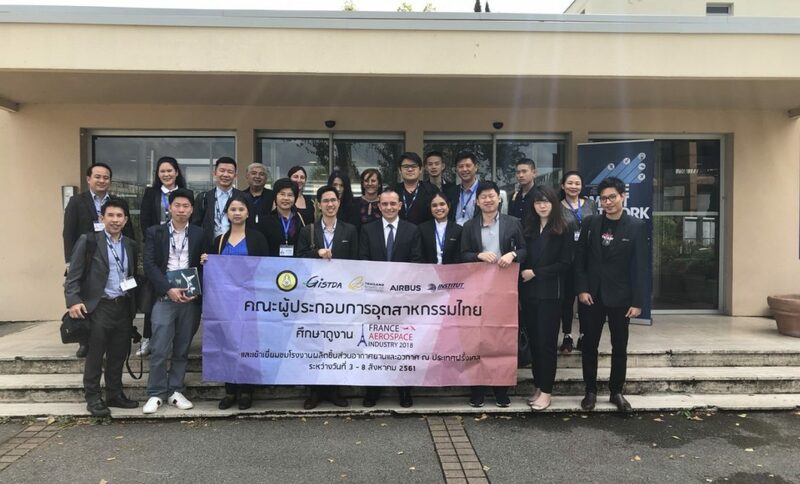 Sihasak PHUANGKETKEOW, Ambassador Extraordinary and Plenipotentiary, the delegation pursued its discovery of the French industry in Toulouse. Their program included the visit of the A380 assembly line, the Astrolabe clean room and the Aeroscopia museum as well as meetings with Airbus Defence and Space, Aerospace Valley and Dassault Systèmes. A meeting with Add’Occ, the new economic development agency for the Occitanie region, was also organized. The week ended with the visit of IoT Valley and Delair Tech premises, which allowed the delegation to learn more about the whole array of the French know-how and expertise with regard to new technologies. As the Thai government has just signed a contract with Airbus Defence and Space regarding the Earth observation satellite THEOS-2, IAS, by welcoming this delegation and offering a tailored visit program, confirms one more time its ability to promote the French industry on the international stage.